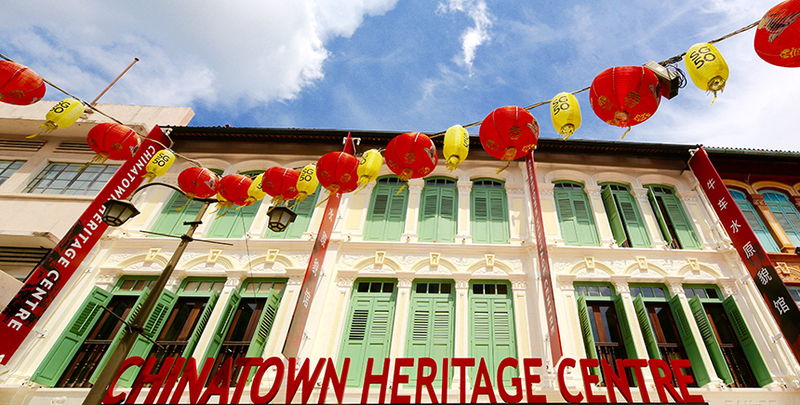 Learn about Chinatown’s evolution from real people like Tina Tan, whose great-grandfather started the beef noodle chain Hock Lam Beef; and Carmen Choy, the vice chairperson of the Chung Shan Association’s youth wing. The displays are complemented by ambient sounds, recorded conversations, lighting effects and even smells, so visitors will get a truly immersive experience of 1950s and 1960s Chinatown. For instance, at the tailor shop on level one, visitors can hear phone conversations between the tailor and his customer, while the scent of coffee and various spices permeate Gallery 3. Visitors can get a whiff of opium in Gallery 4a, and watch a multimedia projection of iconic festivals in Chinatown, such as the Seven Sisters Festival and the Theemithi fire- walking festival, in Gallery 5. Visitors can explore the Centre with the help of a multimedia handheld device. It provides a guide to all the floors and galleries, visuals and soundscapes. Visitors can also read historical information about the exhibits. Visitors can take part in tours conducted by guides acting as a Samsui woman and a trishaw rider. The two iconic Chinatown characters will share stories of their journey from China to Nanyang or the Southern Seas, and the challenges they faced living in the new land. This article originally appeared in the March 2016 issue of Smile magazine.